A beautifully decorated house with infinity style pool surrounded by terraces and private garden. On the exclusive Monte de los Almendros urbanisation, the villa has secure parking, four air conditioned bedrooms, well equipped kitchen and a huge lounge/cinema room. On the top level of the house is a further sunroom with access to a large private sun terrace with lovely views. This top terrace has chairs and tables so you can take breakfast with the sunrise or perhaps an evening drink and enjoy the lovely views down to Salobrena. Also on the ground floor are a generous dining area with large sliding glass doors that open out to the terrace, and the large well equipped kitchen. There is also a TV with only Spanish TV channels (antenna). 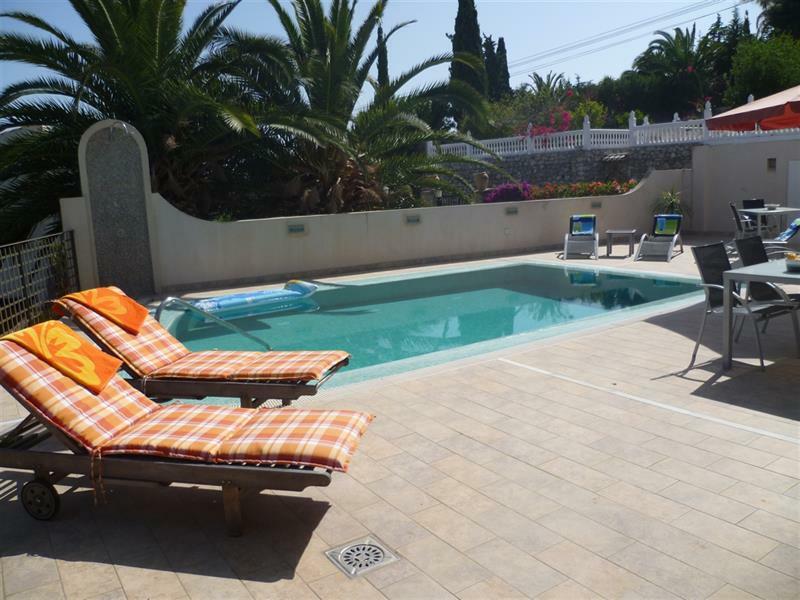 Adjacent to the pool there is a large covered terrace with comfortable sofas and a large dining table, outside kitchen/bar with a BBQ, sink and refrigerator. Just a few steps from the living area, the large pool and terrace is the perfect place for soaking up the sun, taking an afternoon siesta or enjoying an evening barbecue. With Wifi, UK and Spanish TV and air conditioning throughout and plenty of modern touches, this is the perfect place to spend a holiday with friends or family.